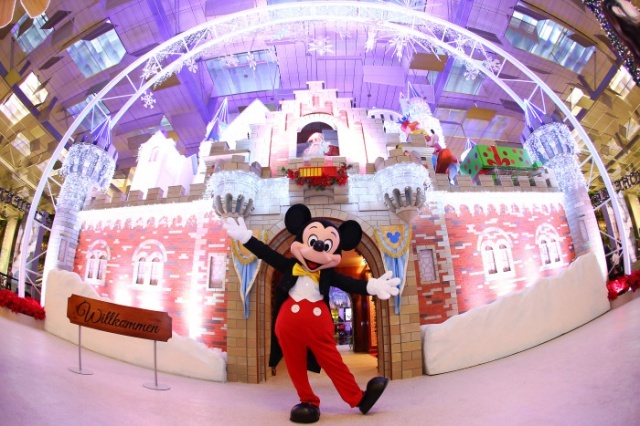 SINGAPORE, 13 November 2014 – A sprinkling of snow; a touch of winter and a dazzle of Disney magic will welcome travellers and visitors this Christmas as Changi Airport transforms into a winter wonderland, bringing yuletide festivities to life. Following the popularity of its annual year-end celebrations, Changi Airport will once again be pulling all stops to bring happiness to its visitors, and this time, with the company of all-time favourites – Mickey Mouse and Friends. From 14 November 2014 to 5 January 2015, soak in the Christmas festivities at Changi Airport as it transforms into a magical holiday wonderland with an elaborate Disney-themed set-up. Travellers and visitors will be treated to fun-filled activities while indulging in a jet-setting winter experience around the world without them even leaving the airport. Passengers travelling during this holiday season have more reasons to check-in early to explore the dazzling displays across Changi Airport. Taking centre stage at Terminal 3 Departure Hall is a three-storey, interactive Neuschwanstein Castle. The castle – inspiration for the original Cinderella and Sleeping Beauty Castles that are featured in Disney theme parks and movies – will feature a moving train experience from within, taking visitors through the idyllic charms of Germany’s countryside. Visitors will be treated to daily multi-sensory shows that combine captivating lights and songs with an engaging storyline. To complete the Christmas winter wonderland experience, Changi Airport will be topping it off with a magical touch – by making it snow within the terminal. To tie in with the season of giving, Changi Airport will also be giving away Christmas freebies this festive holiday. Visitors at the Neuschwanstein Castle can collect tickets before each show time, which can be used to exchange for a special Disney gift at the redemption booth. Roving performers will also be handing out goodies for guests airport-wide at various times of the day. Apart from the Germany-inspired centrepiece, get ready to capture the picturesque displays of snowy Swiss chalets (T3 transit area), traditional Japanese cottages (T2 transit area), Broadway-styled New York City (T1 transit area) as well as Spanish costumes adorned on larger-than-life Mickey and Minnie Mouse topiaries (T2 public area) at five-metres tall. At these displays, visitors can read more about the different country destinations, giving them inspiration for their next holiday destination. 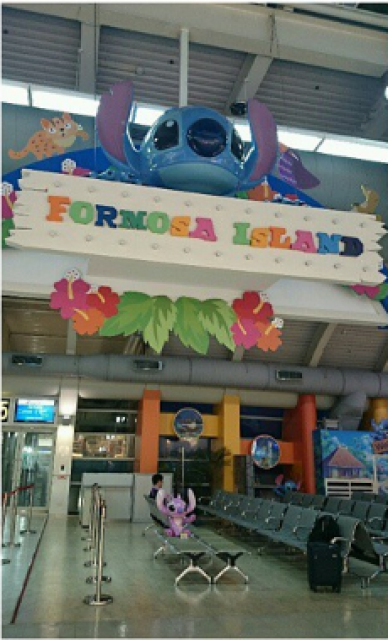 The festive cheer continues at the Mickey Mouse Club House Bouncy Playground, located at Terminal 3 Departure Hall. Children will have the time of their lives in this adventure trove, cruising down a three-metre high slide, bouncing off sticky Velcro walls and leaping into the colourful depths of the ever-popular ball pit. Visitors can also capture memorable moments with Mickey and Minnie Mouse during meet-and-greet sessions. and be entertained by interactive storytelling as well as stage performances by professional ventriloquist puppeteers, French visual performers and contact jugglers. And on weekends, roving performers including the Gingerbread Man, Toy Soldier, Drummer Boy, Fairy Princess and Candy Cane Stilt-walkers, will be making their appearances around the airport to delight visitors. This Christmas, kids will have the opportunity to be a part of something big by participating in a Community Art Wall project at Terminal 3. Over the course of the Christmas celebrations, children can channel their creativity onto tile-pieces before placing them up on the community wall to form part of a larger art mural. There will also be booths offering other fringe activities like origami sessions. Disney fans can look forward to collecting a full set of six limited-edition Christmas plush toys featuring Mickey and Minnie Mouse in various country-themed costumes. Shoppers and diners can purchase each of these plush toys for S$3 when they spend a minimum of S$60 in a single receipt in Changi Airport’s public area, or S$100 in the transit area. A new pair will be launched for redemption every fortnight from now till 4 January 2015. In addition, the first 1,000 Changi Rewards members who accumulate a nett spend of S$1,200 during the promotion period will receive a full set of six Disney plush toys for free. To spread the joy of Christmas, Changi Airport will also be launching a special Christmas micro-site for users to send Disney-themed festive greetings from Changi to their friends and families around the world. 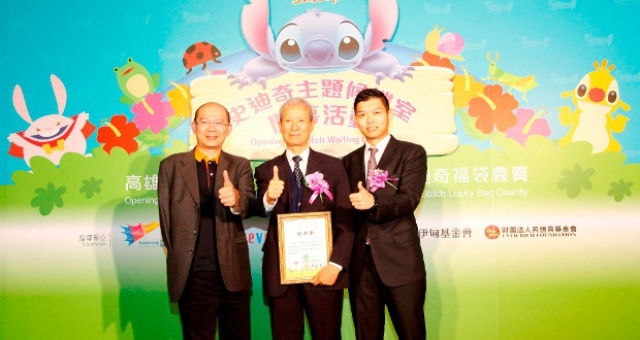 Every time a customisable Disney-themed e-card is sent, the user will stand a chance to win a full set of six Mickey and Minnie Mouse plush toys. Fans can also share the festive joy over social media using the hashtag “#ChangiXmas14”. 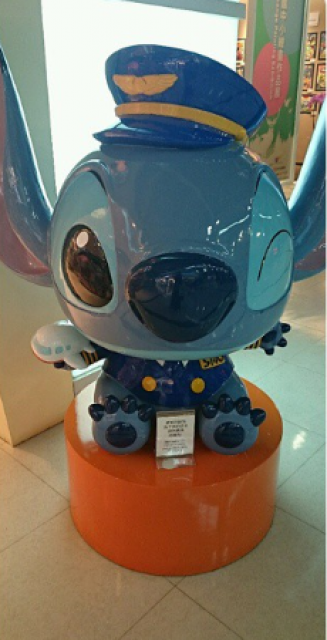 L'aéroport de Singapour Changi n'est pas le seul aéroport asiatique à incorporer des décorations Disney. 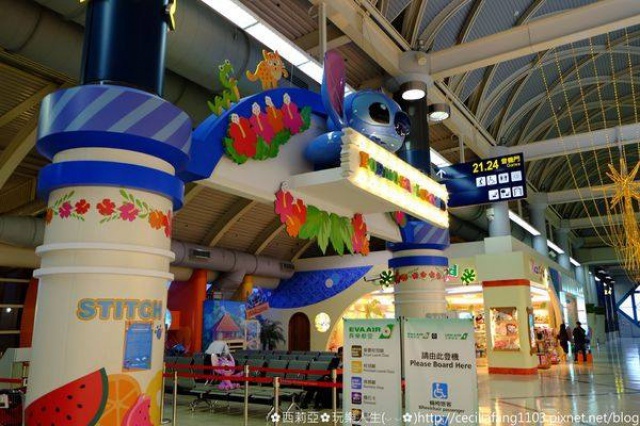 En effet, l'aéroport international de Kaohsiung à Taïwan (République de Chine) a inauguré jeudi dernier un salon d'attente (et ses toilettes adjacentes) dont la décoration à l'ambiance tropicale est composée de différents personnages issus du long-métrage d'animation Lilo et Stitch, de roses de Chine et de fruits tropicaux.